In December of 1624, the postal history of Denmark began when king Christian IV, created a national postal service. Actual stamps would not be introduced for over 200 years in April of 1851 just two years after France issued their first stamps in 1849. The Danish postal service was simple at first with the mail delivery carried by foot. Then in 1640, horse riders started to deliver the mail. For a brief period during the 17th and 18th century the postal service was privately owned by a member of the aristocracy, the Gyldenløve family until 1711 when the state claimed the postal service back. 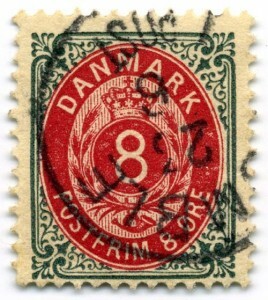 Denmark stamps were often decorated with royal designs, and the first stamps were actually watermarked with a crown. 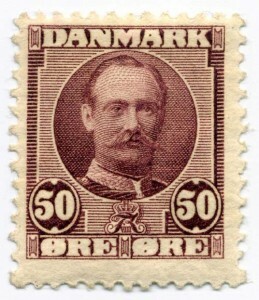 In 1864, when the Danish people lost territory as part of the Second War of Schleswig, a new issue of stamps more prominently featured these traditional, royal symbols in the hopes of stoking the then broken attitudes of the Danish people who just faced a major defeat. The Danish stamps featured many interesting anomalies for stamp collectors who enjoy unusual mistakes. In the year 1870 the issue of stamps often have upside down frames due to non-attentive factory workers who obviously had difficulty determining which way was up or down, and this resulted in an inverted ornate frame. If you are a Scandinavian Stamp collector looking to add more Danish stamps to your collection then contact Treasure Cost Stamps for more information. There is so much history to be learned about Denmark through this hobby, and they’ll be glad to assist you anyway possible.